Discover the rock reef Sam Phan Bok, which is dubbed the Grand Canyon of Thailand but abundant in its own unique beauty. We'll also visit a hidden library in the middle of a pond and take a boat trip from the two-colored river to Kangtana National Park. To wrap up our local trip, let's enjoy Northeastern Thai-style hot pot beside the Mun River in the evening. Arrive at an old beautiful Buddhist library in the middle of a pond. Leave the library and go to Sam Phan Bok, which is the largest rock reef in the Mekong River area. Arrive at Sam Phan Bok and explore its unique landscape. Enjoy the pothole-filled scenery, many are in strange shapes, so you'll have fun with your imagination. Continue to Khong Chiam area. Taste street food in Khong Chiam for lunch. Then head to Once upon a Time, a chic coffee shop that doubles as a cotton weaving center in Khong Chiam area. Leave Kangtana National Park and go back to Ubon Ratchathani area. Arrive at our LocalTable. 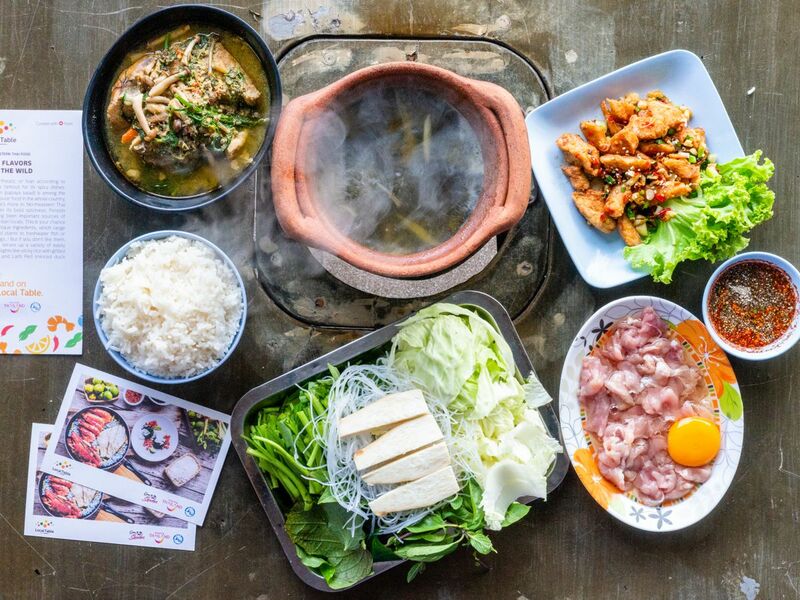 Let's try the unique Isan hot pot and other local food while watching the sun set by the Mun River. your pocket money and your own beverage.